The Volkswagen Tiguan is one of the most sought-after compact SUVs for Canadian buyers, one of which being that it trully provides a lot of bang for your buck. Just take a look at the Volkswagen Tiguan's Trendline to see how much this compact SUV has a lot to offer the market. The Volkswagen Tiguan Trendline 2019 is actually the entry-level version of the Volkswagen family. Offered at less than $ 30,000, it has a lot to offer its buyers in terms of standard equipment as well as an exhaustive list of features that buyers are looking for. These include 17-inch wheels, Apple CarPlay and Android Auto systems, and a 6.5-inch touch screen. There are also two groups of affordable options available on the new Volkswagen Tiguan Trendline. The first group of options is a package that includes heated seats, alarm system and heated windshield washer fluid nozzles. It’s also possible to get a third row of seats for the Tiguan for only $ 750. Thus, it is possible to carry up to 7 passengers without ruining our budget. 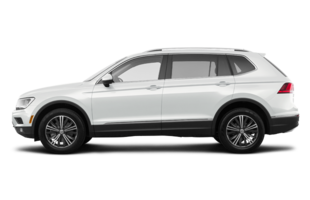 The 2019 Volkswagen Tiguan is one of the few compact SUVs to offer space for 7 passengers. Finally, the new Tiguan is offered with a 2.0-liter turbo four-cylinder engine producing 184 horsepower and 220 lb-ft of torque. This engine is paired with a traditional 8-speed automatic transmission that improves both comfort and fuel consumption. The Tiguan is one of the most powerful compact sport utility vehicles in its class despite consuming less than 10 liters per 100 kilometers on average. 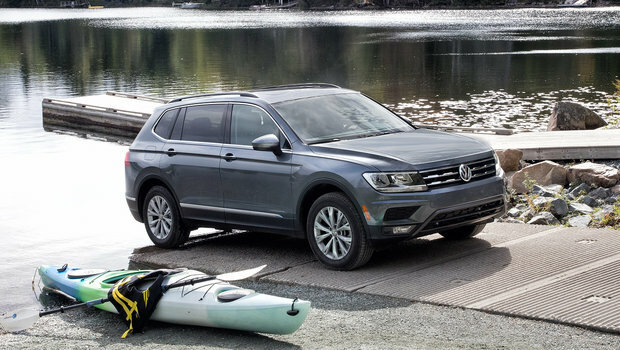 On the road, the 2019 Volkswagen Tiguan will impress you with its numerous features, but also for its overall balance and refinement. The Tiguan has so much to offer potential buyers in need of space for their active lifestyle or growing family. 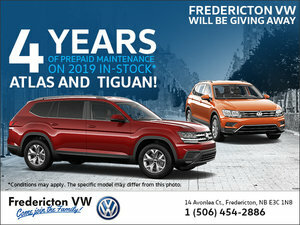 To learn more about the new 2019 Volkswagen Tiguan Trendline, contact us today at Fredericton Volkswagen.